A Trust is an estate planning instrument for an Individual to ensure that the total protection of asset(s) is preserved for the Beneficiaries while in the safe hands of the Trustee. There are three parties involved in a Trust. 1. The settlor – person who sets up the Trust. 3. 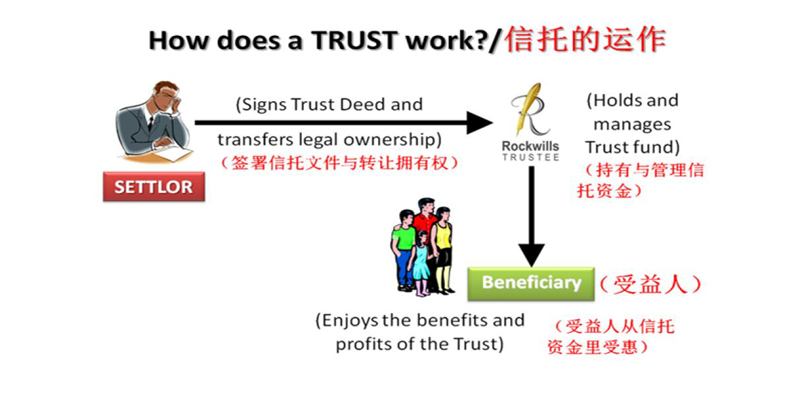 The beneficiary – the person who receives benefits from the Trust. Why do people set up Trust? Because …..
What are the objectives of setting up a Trust for family goals? Protecting assets from being claimed by your ex-wife before any divorce proceedings starts.